The Sugar.IQ digital diabetes assistant will use AI analytics to predict users' low blood sugar risk within the next one to four hours. Sugar.IQ — the digital diabetes assistant for Guardian Connect system users that is jointly supported by Medtronic and IBM Watson — has a new feature that uses artificial intelligence to predict future low glucose events. Called IQcast, the feature tells users whether they have a low, medium or high chance of dropping below the target blood glucose range within the next one to four hours. These individual-specific predictions are generated by analyzing data collected through Sugar.IQ app and the Guardian Connect device. The Sugar.IQ app is currently available in the App Store for free download. The FDA-cleared app uses IBM Watson Health’s AI and analytics tools to help users see how their glucose levels change during the day, and includes a smart food logging system, motivational insights, a glycemic assistant, a data tracker and a glycemic insights feature. Hypoglycemia — defined by the American Diabetes Association as a blood glucose level lower than 70 mg/dL — can lead to symptoms ranging from lightheadedness and lethargy to vision impairment and seizures. 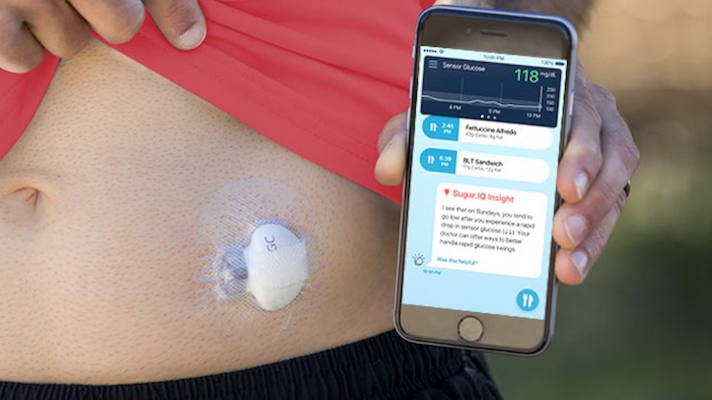 When used in conjunction with Medtronic’s continuous glucose monitor system, Sugar.IQ’s new feature looks to better prepare users of a potential episode and understand how their daily behaviors can impact risk. Medtronic and IBM Watson first announced the AI-driven Sugar.IQ app in 2016, but the platform didn’t see prime time until last summer. During the interim, the companies showcased study data suggesting that the digital assistant and CGM system could increase the amount of time users remain within a healthy blood glucose range and reduce their time out of it. Meanwhile, other digital diabetes companies have also posited their own assistants and management apps. Ascensia Diabetes launched an updated version of its Contour Diabetes app earlier this year that includes a similar personalized trend analysis and feedback system, for instance, while WellDoc’s app-based Bluestar has long enjoyed a home on Samsung’s mobile devices. "Hypoglycemia, or 'going low,’ is one of the most acute and frightening events that a person living with diabetes can experience," Dr. Lisa Latts, deputy chief health officer at IBM Watson Health, said in a statement. "Fueled by the right data, AI and machine learning can play a powerful role in helping to alleviate the burden of diabetes and the worry of a hypoglycemic event, and we've built the new IQcast features with this goal in mind."